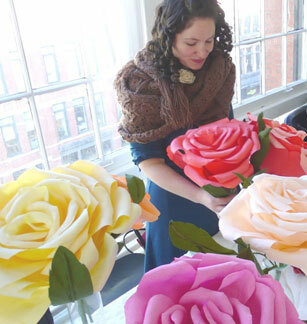 I spotted Morgan on Martha’s show the other day making these gorgeous paper crepe flowers. Morgan is an editoral assistant at Martha Stewart so I’m sure she has quite a few amazing crafts up her sleeve. 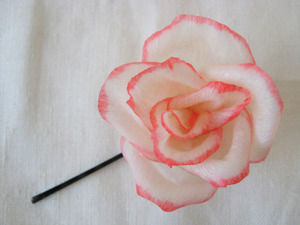 She makes these beautiful flowers by hand into brooches, hair pins, and larger versions for display. 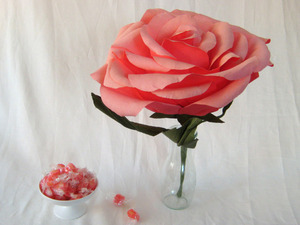 If your feeling adventurous you can view the full instructions and a how to video on marthastewart.com. 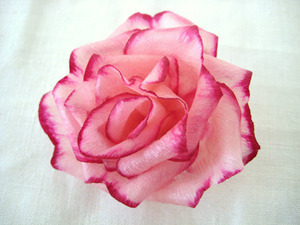 Morgan also sells her beautiful flowers on her website: amblethroughbramble.com. I was also watching her on Martha. 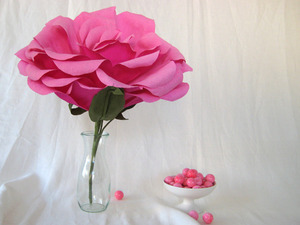 I love the huge roses!